1,642 found. Viewing page 1 of 83. In a panoramic location, within walking distance of town, stylishly restored farmhouse with an annex with 2 apartments, a pool and 1.2 hectares. On three floors + a tower, fully refurbished, 5 bedrooms, 4 bathrooms, swimming pool and 1 hectare of land with olive trees. In a wonderful panoramic location, characterful 3-4 bedroom farmhouse, divided into 2 apartments with 1.4 ha, a beautiful pool and olive groves. 12 bedroom farmhouse, divided into 3 apartments with a pool and 8.1 ha. Organic wine and oil production in the countryside of Florence. 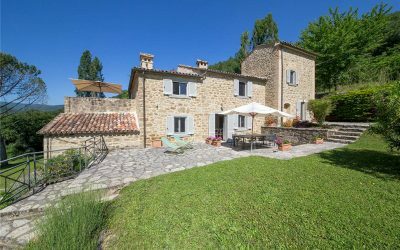 Just 20 km from Cortona, 6 bedroom farmhouse restored with Scandinavian style. Panoramic views, mature garden, orchard, pool, tennis court. In a panoramic location, 15km from Florence, impressive residence with 6 apartments and communal areas set in 10 ha with pool and olive grove. 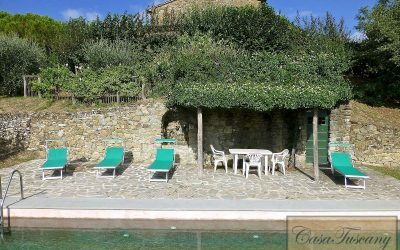 Near Cortona, beautiful 3-4 bedroom farmhouse, restored in 2017, combining tradition with contemporary style. 0.4 hectares, olive trees, pool. Large restored farmhouse in delightful hillside location less than 15 minutes from Cortona. Divided into 4 apartments. Pool. Gorgeous 3 bedroom farmhouse divided into 2 units, with a 1 bedroom annex, lovely outdoor spaces and land with olives and vines. 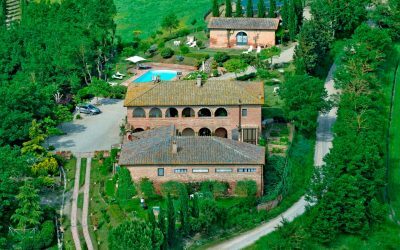 Traditional restored farmhouse and annex divided into 4 apartments set in 3.4 hectares of land with an olive grove, 15km from Siena. Traditional Tuscan farmhouse just 500 metres from San Quirico d’Orcia in Val D'Orcia. 3 bedrooms. Garden, loggia. In a wonderful hilltop location with stunning views, 3 bedroom house with a lovely pool, garden and 1.35 hectares of land. Villa with Loggia + 4 Apartments. Beautiful estate of about 1200 sqm, with 12 bedrooms, 11 bathrooms, pool, 13 hectares of land. Beautifully Restored Farmhouse and Annex near Montepulciano. Main house + annex, pool and 1.5 hectares. Restored by its architect owners. A restored 16th century villa, a former monastery, just 10 km from Florence. 1,189 sq.m. 9 hectares of land. Beautiful features.